Master some of these techniques and you’ll be able to perform dynamically on the night thanks to doing the right kind of planning. 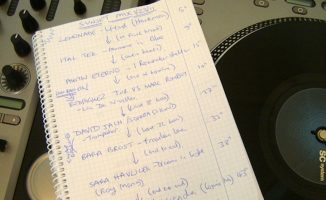 In the first part of this mini-series, we covered 5 Times When You Should Plan Your DJ Sets. The following part took the other viewpoint, highlighting 6 Reasons Why Not To Plan Your DJ Sets. 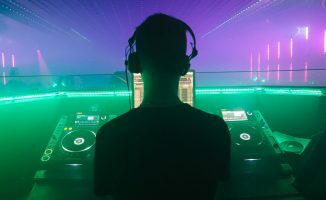 We’ve had some great advice in the comments to these posts, proving that the truth is this; the best DJs – those who play night after night – take the wisdom from both of these approaches to play DJ sets that are meticulously planned where it matters, but yet which still manage to give them plenty of flexibility to react to crowd, venue, new music, even their own mood, resulting in more vibrant, dynamic and ultimately more enjoyable DJ sets. So here are seven secrets of the pros. Master some of these and you’ll be able to appear like you’re playing “by the seat of your pants”, when actually you’re benefiting from lots of smart planning to create that magic. Less is definitely more when it comes to preparing your tunes. Listen to ever single record you put in your crate for the night, so they’re all fresh in your mind. I like to pack roughly double the music I end up playing, giving me two choices for every eventual tune played – so I can vary the set but within preset confines. Listening to the tunes like this helps you to spot the “odd ones out” too that maybe don’t belong in tonight’s set after all. Planning also involves visiting the venue and knowing the music they play and the type of crowd they get – if possible, of course. This helps you with point one above, as you’ve got a picture of the venue and crowd in your head as you’re picking or rejecting songs for your crate. Using iTunes to organise your songs and keep track of past sets, with playlists and smart playlists, is one way of always having planned mixes to hand. It doesn’t really matter how you do this. I do it in groups like warm-up tunes, peak time tunes, last hour tunes, new tunes I ‘d like to play but may not (these can hang around for months while I find the right place to introduce them into a set), and surefire floorfillers / classics – kind of “get out of jail” tunes. Knowing you can happily play half an hour from any of these playlists means that you can swap and change as the crowd and the night demands, while still actually playing a largely planned set. If the crowd are loving a break, loop it and double its length before dropping back to the beat. If they’re grooving to the start of a house track quite happily, loop it and let it run for a few minutes before you break the loop and let the melody or bassline finally drop. If they’re tiring after a few full-on tunes, next time your planned set takes a natural dip, drop the volume by a quarter and let the dancefloor regroup for five or ten minutes before building the volume back. Slowly drop the bass out before throwing it back in at a big point in the track. Use a little judiciously applied echo or other effect to add something unusual to a well-known track. All of these techniques and many more can add DJing spontaneity to any set, even if it is otherwise 100% pre-planned. Playing music in a similar key can help you to make transitions smoother and thus appear planned when they’re not. Sorting by BPM can give you a choice of records to play next, removing panic and paralysis and suggesting just a few tunes meaning you now only have to pick the best one for a quick mix. If you play a wildcard tune that goes down really well and suddenly think that actually, the crowd would like to hear half an hour of indie, or hip hop, or whatever style that tune is in, sorting by genre can give you an instant mini-set – especially when you then apply key and BPM sorts within that mini-set to further reinforce the illusion of careful pre-planning. Using your software’s “prepare” functionality can allow you to make such mini-sets on the fly more easily. What worked once will probably work again. Use the history feature of your software to remind yourself what has worked well for you in the past, and revert to a previously planned set or sets for a while. Continuity is one of the big plus points of playing regularly somewhere, and so this works especially well if you have, say, a weekly booking – there’s nothing wrong with letting your weekly sets slowly evolve rather than trying to reinvent the wheel by playing something completely different every time. If you really want to plan everything out that’s sometimes acceptable, but consider the fact that your carefully planned set may fall flat on its face. What will you do if it does? What do you think the crowd would want to hear instead? Make sure that you’ve at least planned an alternative set – a “plan B” – so if this happens, you can switch to that rather than getting tripped up totally. 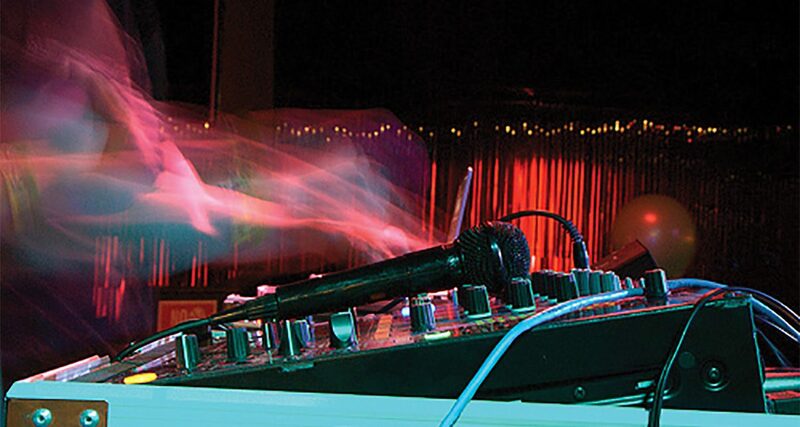 How do you strike the balance between planning and spontaneity in your DJing? What tricks do you use to “pull something out of the bag” when inspiration runs dry and you need to get a next record on? Let us know your thoughts in the comments. • Thanks to Enrique Gonzalez for the original question that inspired this piece over on our Facebook Discussion Board, and to Isaac B Tips Goldszerz, Rick Jones, Zachary Brown, Edwad Willey, Sam Lucas, Matt Scharbach and Brennan Lee Baker for their contributions to the debate. Those are not really SECRETS OF PRO DJs. More like beginner DJ’s 101. 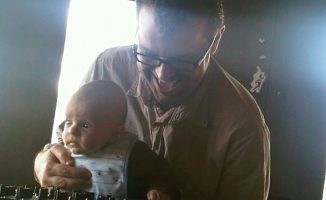 By the way, thanks for your comments on the Traktor “First thoughts” post – one of them has made its way into the review that’s being published on the blog tomorrow. The pro’s often stick with the basics which is what this article does. After a while people start to think too much about some things, keeping it simple keeps it simple! Being a DJ isn’t rocket science. Advice worth gold my friend. I think it all boils down to the very first point, know your tunes. Unless you know what’s in your box there’s no point turning up in the first place. Picking music based on BPM and key is all well and good and you might get lucky but unless you know what it is you’re playing then you run the risk of falling on your face. Great set of tips here. One ‘trick’ I like to employ if I notice the crowd reacts well to a certain beat/groove, I let it loop for a bit then tease it with a popular, or mood-mirroring, acapella- works wonders if it’s a sing-a-long. You end up giving the crowd a twofer and it always feels pre-prepped if you work it seamlessly. Nice One!! means im in the good way! You could try MediaMonkey for PC. If PC Better use foobar2000, the best software for audio organization und planning. It’s a fully customizeable GUI and allows you to edit tags better than any tool on this planet. Tools for folder organization included and lots of expansion possibilities possible by plugins. One of my biggest reason not to switch to Apple. Good post. I do all of the above. Mommy, does that mean I’m a pro? Also preparing your first 3 tunes, when you just go on, helps relieve the stress. After that, play it by ear with the help of your preselected cratelist. It’s a good point… although there’s nothing wrong with a few “planned” mixes in a “prepared” set… after all, what are cue points for? 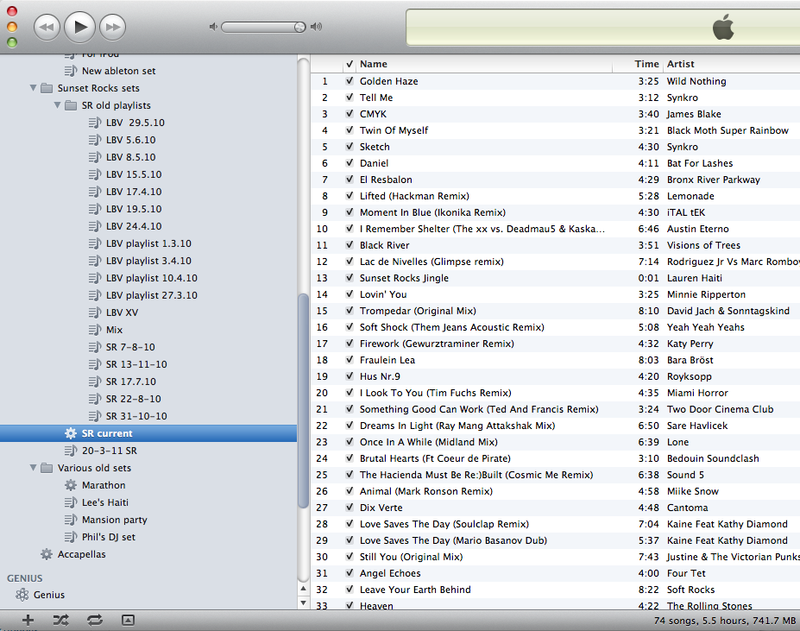 Never plan anything always play it by ear..
i have some remixes of mine and i need someone to criticize me. is there any forum that i can paste my soundcloud and people can listen? There is a forum on this site on the header links above. As an Ableton DJ I have my sets prepared, it’s worth mentioning that I do a hell of a job putting together a set of tracks not usually known by the average person (that’s my style). I do sometimes have “back up tracks” in case, this is rarely though as I’ve only had issues with a crowd due to incorrect promotion. But I wonder. If the last time you ‘ve played didn’t go so well, but a few days before did go splendid. Is there some reputation gone? Noooo… nobody’s looking that closely. 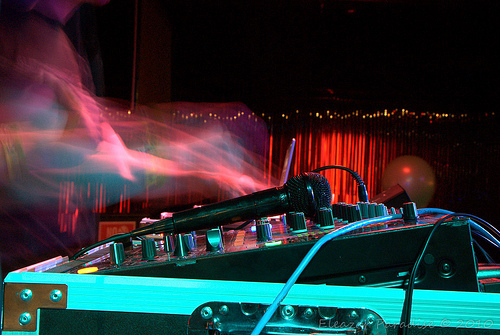 All DJs have “bad” gigs – if you’re not having them you’re not playing out enough. Pick yourself up, play the next gig fast, learn from your mistakes.